Musician Ethan Tufts of State Shirt created a song on an Apple IIc — part chiptune, part drum-and-guitar pop song — and recorded the whole process in the video above. Tufts offers State Shirt songs as “open source” — so feel free to download the tracks, but try to support his good work (and nerdery) if you can. Posted by davelawrence8 at 10:33 am on February 24th, 2012. 3 comments... » Categories: apple, music. Tags: apple II, apple IIc, II, music, state shirt, video. Subscribe via RSS. Edible Apple has a great look back at the original Apple-designed tablet device – not a computer, but more of an input mechanism like today’s Wacom tablets. The Graphics Tablet, however, wasn’t exactly a runaway hit as it was subsequently discontinued when the FCC found that it caused radio frequency interference problems. 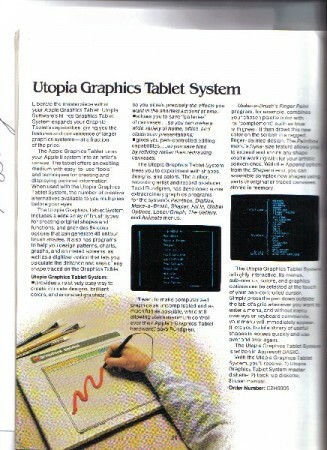 Apple went back to the drawing board, and in 1983, it released a second iteration of the graphics tablet, which was right around the time when the Apple IIe was in production. Check out the rest of Edible Apple’s post for more great pictures. Posted by davelawrence8 at 6:25 am on January 26th, 2010. No comments... » Categories: apple, lowend. Tags: apple, apple II, graphics tablet, tablet. Subscribe via RSS. 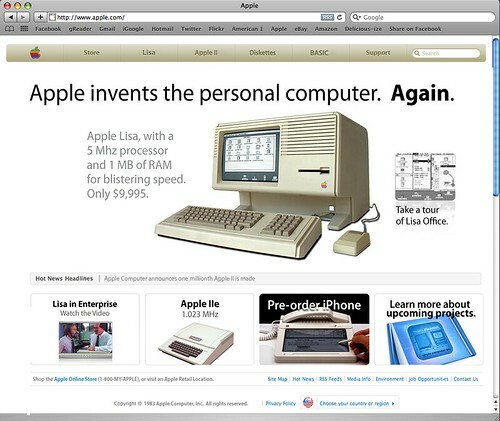 In my original retro Apple.com post, I asked for others to take memorable moments in Apple’s history and mockup a web site. Matt Pearce did just that, as you can see, making five total Apple.com homepages at different points in history. Particularly notable: an Apple I version with the original Apple Computer logo. Posted by davelawrence8 at 7:27 am on January 20th, 2010. One comment... » Categories: apple, design. Tags: apple I, apple II, apple.com, macintosh, mockup, retro, web site. Subscribe via RSS. Holden Scott, over at This Old Mac, has a comprehensive round-up of Apple’s history and possible future in the tablet Mac realm. Even before the iPhone launch, Mac fans have speculated about a possible tablet-style Mac. 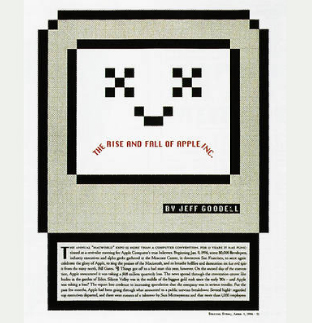 Holden looks at Apple’s history in this market (like the Apple IIe, above), both pre- and post-Newton, and gathers some of the recent patent applications from Apple that could forecast a Mac tablet. Making observations are just that much better since you can walk around and get close to the action with Tablet in hand, whereas a notebook would demand a desk of some sort, and would not allow you to interact with it as you walk around, etc. It’s that kind of practicality that makes a potential tablet Mac so attractive. What do you think? Is Apple’s next big project the tablet Mac/bigger iPhone? Posted by davelawrence8 at 6:38 am on December 17th, 2008. No comments... » Categories: apple, newton history, rumors. 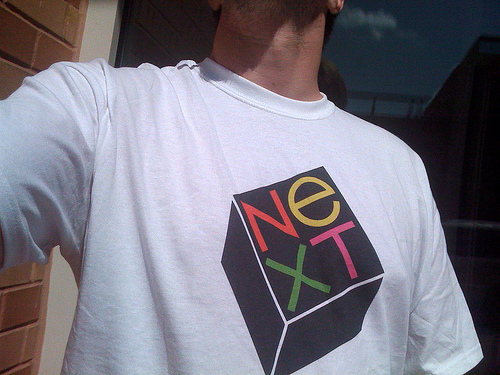 Tags: apple II, iphone, mac, macintosh, messagepad, newton, OSX, patent, rumor, tablet. Subscribe via RSS.